This is about something that I do very wrong in Eve. Susan black tweeted that she discovered a large rigged Falcon and it made me think of my special ships. I say special because people make sure that I know I'm to new to have anything that is old. But, for my short time in game, I have a collection of oddities with little, meaningful stories attached to them. The other day, I decided that I wanted to try out the Machariel and an XXL-Jaguar. I have a Machariel. I've had one since I was six months old. I purchased it from LR when he decided to give up battleships. I have never flown it. The Machariel was a dream ship for me for a long time and the acquisition of this one and my eventual flight would signify my adulthood. Or so I convinced myself. I decided a few days ago to ship it to high sec to retire as a hangar ornament and perhaps one day become a PvE boat. Some would ask why? The answer is simple enough. I like to collect spaceships to a certain extent. Just as I like my internet spaceship pixel money I like my pixel internet spaceships. I have several that I've collected that mean something to me for various reasons. This is an old Hurricane that I learned to PvP in that time before Fozzie nerfed them into their current state. This particular ship is very special to me. I got it from CraftyCroc after I was killed and we went for revenge. The story is here. This was back when I was not even a year old and Eve was still Battlecruisers online. It was a very important fight for me and one of the first time I felt a little bit of confidence as to my actual abilities. I'd always looked at everyone else as 'real' pirates and myself as an interloper fraud who waited for someone to discover that she didn't belong there at any moment. And I wanted to belong. I wanted to be someone that the other members of the community would be proud of. So, for those who have never looked at my beginnings, that might be a place to see a younger me. I limped that ship home and wrapped it up in my hangar, unrepaired. It still sits in Klingt to this day. I have no intention of ever moving it. Next is Redemption Strawberry. He is one of my stolen ships and one of two stolen ships that I use regularly. His story is here. I actually wrote a blog post about Redemption Strawberry that I have not published. It is a blog post that includes a fit that I created and I just haven't brought myself to post a fit. Unlike many of my special ships Redemption Strawberry is in use as a combat ship. However, I've only fielded him once and I doubt that he will see use in the near future. The next two both came from the same situation. A wormhole theft with Vov. This is when he used me for ransom. But it all worked out and I wound up with two ships that I kept. One is a Viator with a stylized name which is common in some wormholes. I actually use this ship constantly. I do it because my other Viator was a gift given to me from Ender and that is an old, old spaceship. The second is a Tengu that sits in my scanning alt's hangar, unused and dusty. I have other little odds and ends that I have collected. I have my first Cynabal that I built from the BPC that dropped in the first 5/10 that I ever found and completed and got a drop in. Lue helped me with that. Those are the ships, however, that have stories. Ships that I will not send into the consumption of the daily pewpew. They always say don't fly what you can't afford to lose. That's why I don't fly them. I will tuck Buttered Scone into this group. He was a gift sweeter than I deserve. People talk about losing things gloriously and losing things hysterically. It's promoted. Avoid risk aversion and embrace loss. Create content and be bold. And I often agree with the sentiment but not for everything. And yes they are pixels but they are pixels that form memories, and these memories that I shall keep. I still fly The Trooper and Old Ironysides, both Drakes, but I'm fairly attached to them. I like to think that I've had them so long that I know my crews pretty well. I think everyone's heard the "don't undock in anything you can't afford to lose" thing a bajillion times, but you know, when you're really new, you may not be able to afford losing much of *anything*. If you don't undock, though, your options for making money at that level are somewhat limited. I had some bad PVE losses early on, and I was too proud to ask anyone for money, so there were a few times when I sold just about everything in my hangar and went back out in my only remaining ship to grind L1s. I definitely couldn't afford to lose that ship, but it was either risk it or stay docked up and twiddle my thumbs. I posted earlier that I'm about to clean out my hangars in Metropolis, since I'm relocating. It's kind of a struggle, though, because there are more than a few items that have sentimental value. In other words, I know what you mean! In my opinion you can always buy more. If it is a struggle, keep it. It's cool that you've set aside a few ships that have special stories behind them. Your post made me think about the ships in my own hangar, and while I don't collect ships for any other purpose than to fight with them - it did make me realize how old my Tengu is. So thanks for the inspiration for my own post today. Oh and I got a good report back from some of our ABA players who were at the live meet this past weekend. Thanks for listening to them. 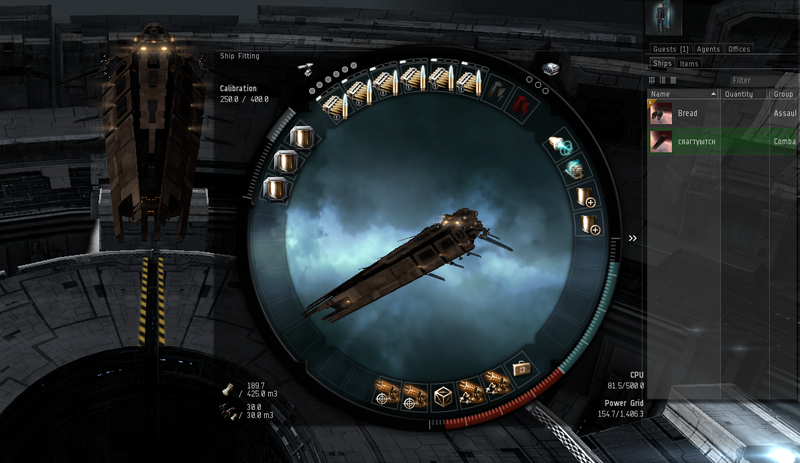 I do more in Eve than fight so my collection is building for various reasons. I completely understand this. I've lost some of those ships, too, and while on paper it was NBD, it was sad to lose Jack Ruby, the Helios that was the very first cloaky ship I had, and the only ship I took in, initially, when the corp moved into a wormhole. It had served me well for a good year. There's my ancient, multiply-refitted-and-rerigged Vexor, R n' R Uzbekistan, which started out as an L2 PVE boat, was refitted for PVP, and somehow survives to this day. There's the Rifter, cheekily named "Learn 2 PVP," that got me out of Etherium Reach when things suddenly got hot there, and Lenin's Cadillac, the rail Megathron that went on my first nullsec fleet roam. I wonder about people who profess a complete detachment from everything in game. If you aren't creating memories and narratives and making associations, then what are you doing? No activity is more fundamentally human than that.